Being the cultural hub that it is, St Kilda does not stop when the sun goes into hibernation. There’s still lots to do during these winter months, particularly if you are a music and theatre lover. Here are some of the exciting St Kilda events coming up to get you out and about, even on those chilly nights. 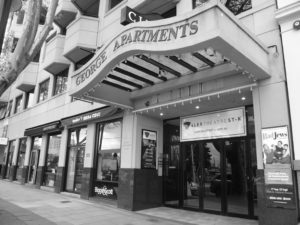 Every theatre-loving St Kilda local has a soft spot for the charming Alex Theatre, and this winter, it is definitely the place to be. On June 17 and 18, the Melbourne Ballet Company bring to the theatre Empyrean, and beautiful display of dance exuding bliss and harmony, inspired by Picasso’s best work. Hit Broadway musical, You’re A Good Man Charlie Brown, is also coming to town, hilariously reuniting Charlie Brown, Snoopy and the rest of the ‘Peanuts’ gang in a production fit for the whole family. You’re a Good Man Charlie Brown is showing at the Alex Theatre from 21 June to 2 July. Those who are looking to get a little hands-on should head down to the Linden New Art Gallery on June 5 for an Adult Crafternoon. Today’s session is a participatory workshop, focusing on the basics of observational drawing. The lesson is aimed at beginners to head down, pick up a pencil and don’t be afraid to challenge yourself! For a classic theatre experience, it’s always a safe bet to visit the opulent National Theatre. From July 6 to 9, audiences can come and enjoy The Man Who Came to Dinner, an intriguing story about a quick-witted radio lecturer who finds himself confined to the home of a prominent, yet unwilling, Ohio family after sustaining a leg injury. From July 26 until August 6, the theatre also plays host to Ghost Stories, combining the best of both theatre and horror worlds. Over half a million people worldwide have been spooked silly by this chilling performance, and St Kilda is the next victim. 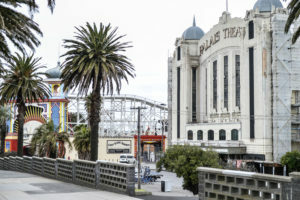 The iconic and much-loved Palais Theatre again sets the stage for some incredible local and international acts this August. Australian legend Jimmy Barnes will bring a change to his usual pace with his Soul Searchin’ performance. The rocker will perform a mix of classic grooves and hidden gems in two, hour-long sets with his soul ensemble on August 25. Jimmy clears the floor on the next two nights to make room for quirky international favourite, Ben Folds. He comes back to Australia this time to combine his piano-pop with the string, flutes and clarinets of yMusic. Catch him on August 26 and 27 at the Palais. Those looking for some new music to add to their iPod will love Live N Local, a celebration of the music of St Kilda and the greater City of Port Phillip. 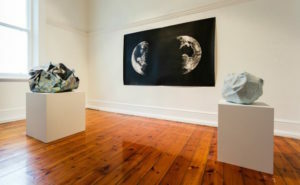 Venues all over the precinct will host some of the best, new local talent from August 20 to 27. Check out the Live N Local website for more about the program. 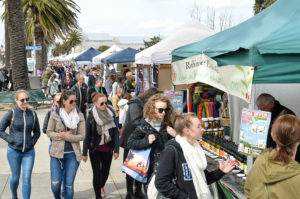 We can’t write about events in St Kilda without mentioning its fabulous markets. Every Sunday in winter, local makers will set up shop on the picturesque Esplanade, ready to show off their latest crafty creations. It’s the perfect way to start off a lazy Sunday. Read more about why locals love the Esplanade Market so much here. A different kind of market fun can be had on the first Saturday of every month when the Peanut Farm Reserve hosts the Veg Out Farmer’s Market. This market brings a touch of the country to the city, with a huge selection of fresh, local produce ready to be carried out and stuffed into your fridge. Support local farmers by heading to market once a month for your grocery shop. There’s never a shortage of things to do in St Kilda. For a full list of all the events taking place this winter, including all performances showing at the precinct’s many theatres, visit the Events page on our website.